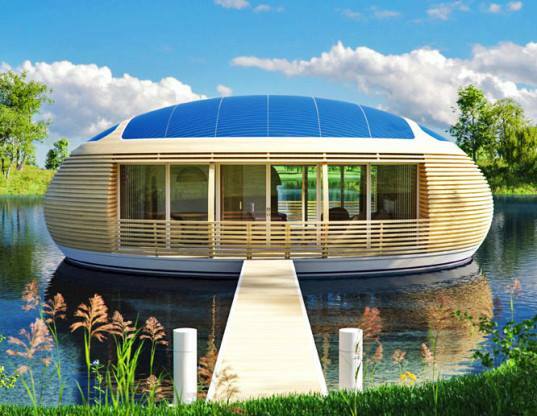 If you prefer views of blue waters over grass lawns, you’ll love the WaterNest 100, an adorable ecological floating habitat. 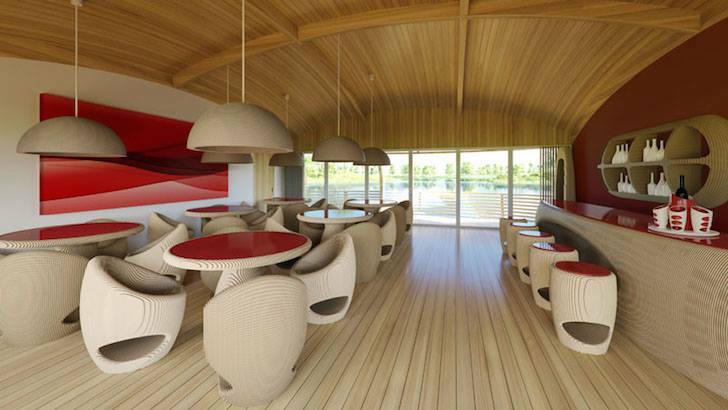 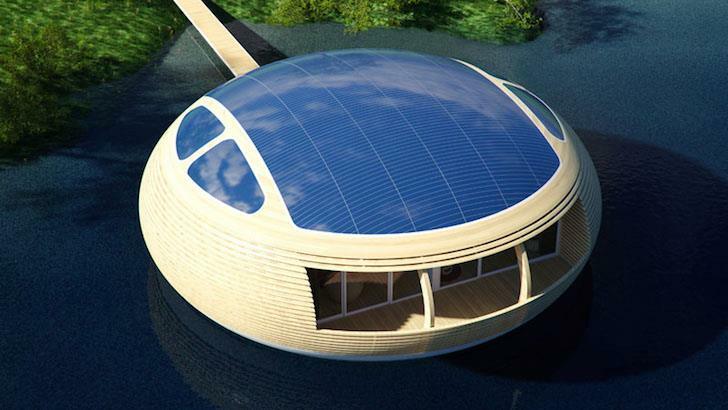 Designed by architect Giancarlo Zema and developed by EcoFloLife after years of research, this solar-powered floating house offers an attractive and low-impact way to live in harmony with nature. 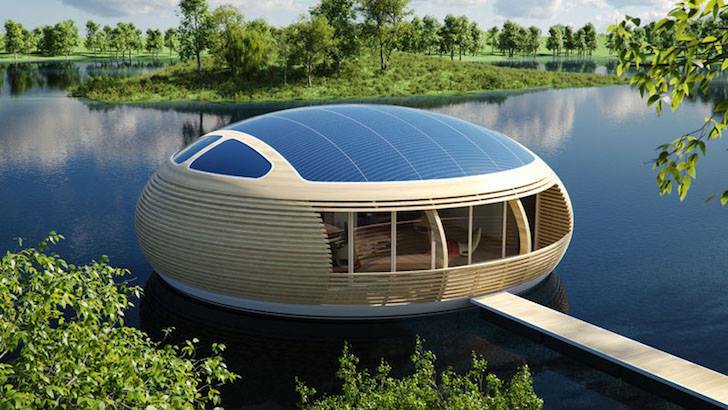 Made of recycled and sustainable materials, the unit is 98% recyclable and can be positioned in any large and calm body of water. 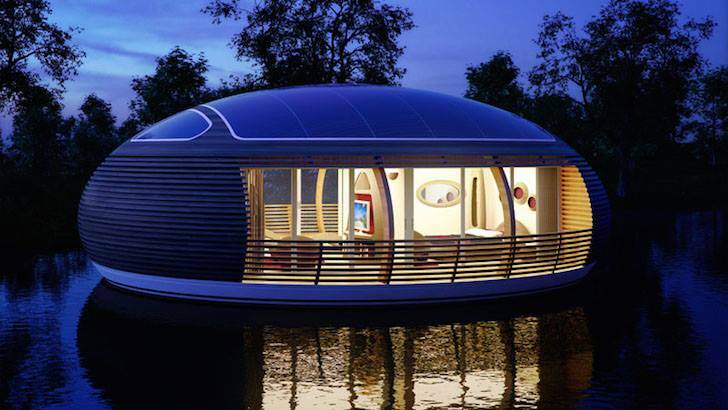 The 1000-square-foot floating pod-shaped home measures 12 meters in diameter and 4 meters tall. 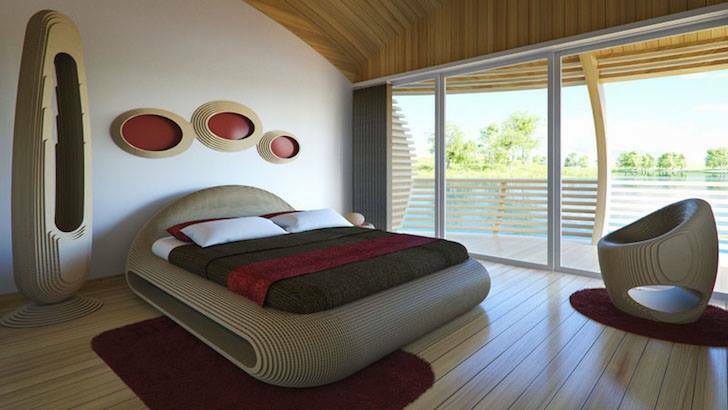 Its curved body is constructed from recycled glued laminated timber and a recycled aluminum hull.